Eating: If you are in Thailand then you are in for a treat. With a score of restaurants serving cuisines from all over the world, Thailand is a paradise for food lovers. The Thai cuisine is well known and appreciated throughout the world due to its exotic flavours and unique preparation. There are restaurants to fulfil everyone’s appetite and to suit everyone’s style. From a quiet little place to eat and relax to a place with loud music and cheerful people. You can find cheap to moderate to high end restaurants serving delicious food with a smile. Eating will definitely be one of your favourite things to do in Thailand. 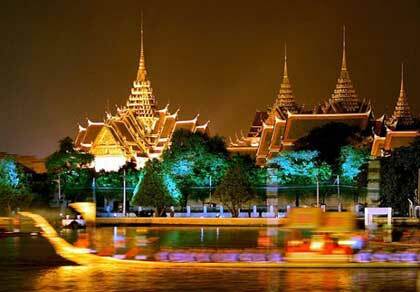 Sightseeing: Thailand is a country with a very rich cultural heritage and a glorious past. There are a number of places to visit which are of great significance to the country. 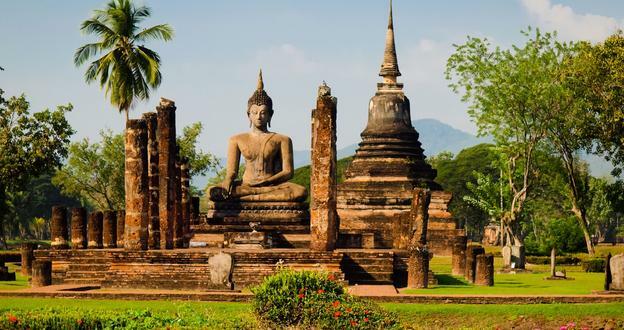 Wat Phra Kaew, Doi Suthep-poi National park, Dusit Palace Park, Sanam Luang, Khao Yai National Park are some of the places that you can’t afford to miss while in Thailand. Shopping: Thailand proves to be heaven for shopaholics by offering a large number of spots for lightening their wallets. There is something for everyone and you can go from a market of small stalls to high end malls dealing in luxury brands to let yourself loose and shop till you drop. Some of the top shopping spots are MBK Centre, Chiang Mai Night Bazaar, Damnoen Saduak Floating market, Siam Paragon and many more. Shopping is one of the things to do in Thailand which you will love to do. Beaches: The beaches in Thailand are known throughout for their breath taking beauty, white sand, perfect scenery, clear waters, limestone cliffs and exotic flora and fauna. When you are in Thailand you will feel like just laying back on a recliner on one of these beaches and sipping your favourite cocktail or maybe taking a good massage. For the adventurous souls there are a number of activities such as diving, rock climbing, snorkelling etc. Some of the best beaches of Thailand are Railay beach, James Bond beach, Freedom beach, Koh Chang beach etc. These beaches are all gems of Thailand Tourism. Partying: If you are a party animal then this is one of the best things in Thailand for you. 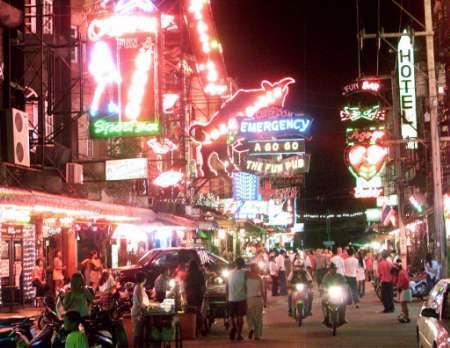 Thailand’s night-life is one of the best in the world and its late night beach parties are unmatched by anywhere else in the world. With a large number of pubs, clubs and discotheques to choose from you can party according to your own style and to your kind of music. This guest post is by Chandralekha, a Travel enthusiast, currently working with ixigo, an online India Travel Guide helps you to plan your trip. This time she has written on Thailand Tourism. Hope this information will help you to plan your trip to Thailand.